Skin cancer is a condition of abnormal growth of cells. It occurs when the cells changes. And multiply uncontrollably. When the cancer cells invade other organs, it is called “Metastasis”. 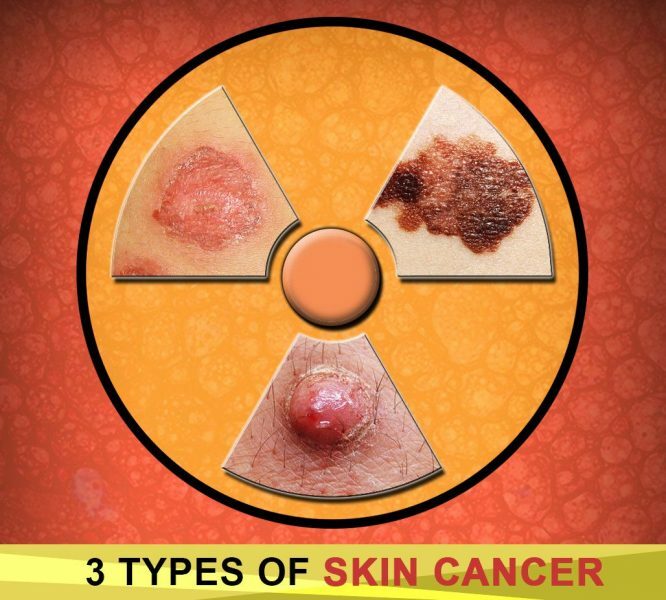 Skin cancer is the common form of human cancer in the US. The number has reach about 3 million people having this condition. The main cause of the skin cancer is overexposed to UV Light. The following are signs and symptoms of skin cancer. It may vary depending upon the types of cancer. HOW TO REDUCE THE RISK OF HAVING SKIN CANCER? Avoid the sun between 11am to 3pm. Always wear sunscreen when exposing to UV light. Be careful and aware of sun-sensitizing medication. Observe extra caution near water and sand. The treatment option for skin cancer known as “Actinic Keratoses”. It varies depending on the size, type, and location of the lesions.